The Musée du Louvre or officially in English – the Grand Louvre, the Louvre Museum or Great Louvre; or just simply the Louvre Paris as we like to call it — is the biggest national museum in all of France, and is the most visited museum in the entire world. It is a world reknowned historic monument and is one of the city of Paris’ central landmarks, located on the Right Bank of the Seine in the city’s 1st arrondissement (neighbourhood). The Louvre museum has nearly 35,000 objects from the 6th century BC to the 19th century exhibited over an area which is 60,600 square metres (652,300 square feet). The museum is housed in the Louvre Palace (Palais du Louvre) that started out as a fortress which was built in the late 12th century by Philip II. Remnants of the fortress can still be seen. The building was extended many times to form the current Louvre Palace. In 1672, Louis XIV decided on the Palace of Versailles for his primary household, which left the Louvre primarily as a place to show off the royal collection, which includded from 1692, a collection of antique sculptures. In 1692, the building was occupied by the Académie des Inscriptions et Belles Lettres as well as the Académie Royale de Peinture et de Sculpture, which held the first of a series of salons in 1699. 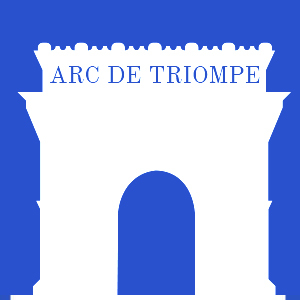 The Académie remained at the Louvre Paris for about 100 years. During the French Revolution, the National Assembly decided that the Louvre should be used as a museum, which would display the nation’s masterpieces. The Louvre is located right inside the very heart of the city of Paris, France. It is the absolute must see for any first time Paris visitor, especially anyone fond of beautiful and exotic art. It is undisputedlt ranked as the most visited and most famous museum in the world and is considered home to the artists and sculptors of the world. If you have not entered the front doors of the Louvre, you can truly say you have seen Paris. It is truly a unique place inside and outside. The museum’s neigborhood was home to the destroyed Palais des Tuileries. The next door Tuileries Gardens, which was created in the year 1564 by Catherine de Medici, was then designed in 1664 by André Le Nôtre. The gardens are the home of the Galerie nationale du Jeu de Paume, which is a contemporary art museum that stored Jewish cultural property between 1940 and 1944.Running parallel to the Jeu de Paume is the Orangerie, which is home to the famous Waterlilly paintings created by Monet. The Louvre complex is slightly askew of the Historic Axis (axe historique), a more or less eight-kilometre architectural line which bisects the city of Paris. It starts on the east in the Louvre courtyard and then runs west along the Champs-Élysées. In the year 1871, the burning down of the Tuileries Palace by the Paris Commune showed that the Louvre was a bit askew of the Axe despite previous thoughts to the contrary. Visitors can reach the Louvre by the Louvre-Rivoli stations or the Palais Royal – Musée du Louvre Métro. The Louvre Museum has three entrances: the main entrance which is at the pyramid, a second entrance from the Carrousel du Louvre underground shopping mall, and the third entrance which is at the Porte des Lions. There is a shopping mall under the museum’s main entrance. It has the first Apple store in all of France There is also a McDonald’s which of course, the presence of at a top France attraction, stirred controversy. You can use cameras and camcorders in the Louvre, but you may not use a flash due to the priceless artworks. Though it not as comprehensive as on this site, some more information is available about the Louvre and many other attractions in Paris at http://www.parisattractions.org. We hope you enjoy visiting the Louvre Museum!